Nintendo is bringing out the big guns for Super Smash Bros Ultimate. There’s the largest roster of any Smash game so far, over 800 music tracks and hundreds of stages too. Every single fighter from previous games is returning, and there are plenty of new faces as well. One of these new faces is Ken, who has been added into Super Smash Bros Ultimate as an Echo fighter to Ryu. He has some key differences though, which we’ll outline in this Super Smash Bros Ultimate Ken Guide. We’ll also take a look at the Alternate Costumes that are on offer, and what his Final Smash is. 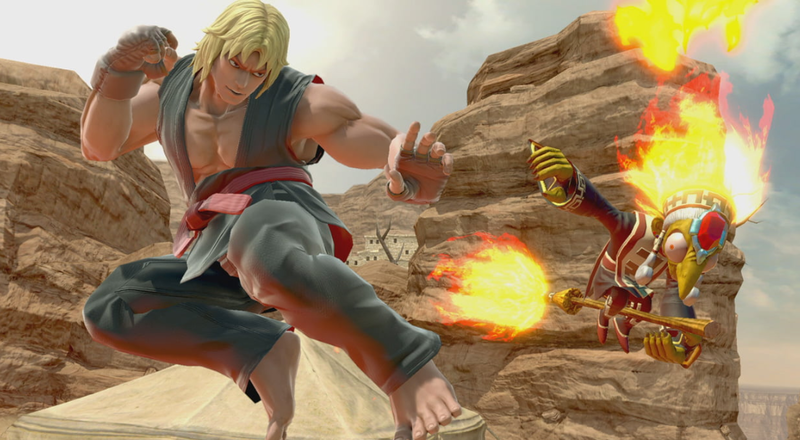 Ken is a brand new addition to Super Smash Bros Ultimate, acting as an Echo Fighter to Ryu. He is more focused on combos than his counterpart, and deals more damage overall. There are some extra differences too, in visuals and taunts. We’ve listed everything you need to know below. One of the counterparts of Ryu coming into Super Smash Bros. Ultimate from Street Fighter. In the table below, you can find a list of the moves that are at Ken’s disposal in the game. Given that Ken is an Echo Fighter of Ryu, it is worth pointing out the differences between the two. They’re not too drastic, but there will definitely be players that prefer on over the other. We’ve listed all of the key differences below. 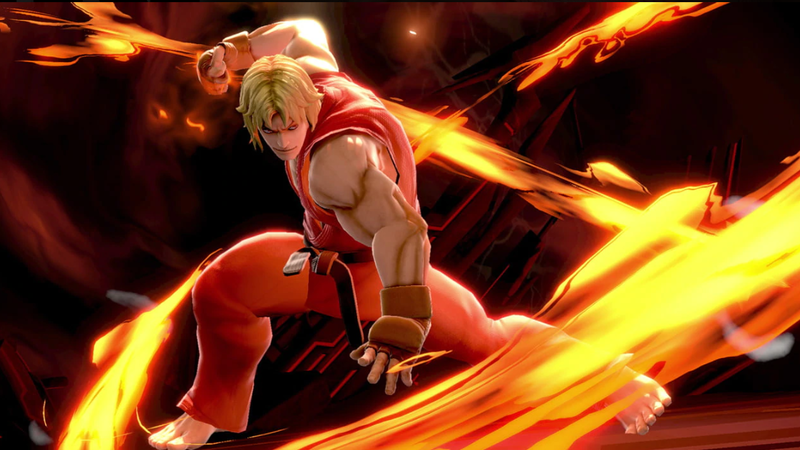 Ken has a different Hadoken, with his hands shown in the energy blast. Ken is faster than Ryu generally. Ken has Nata Otoshi Geri as his roundhouse kick attack. Ken’s Shoryuken deals more damage. 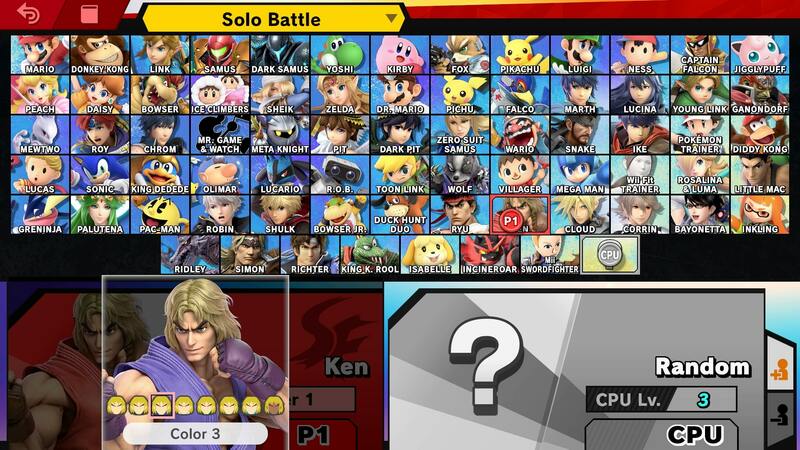 Much like the rest of the Super Smash Bros Ultimate Roster, Ken has some Alternate Costumes that players can choose from. They are simple color swaps of his default outfit, in charcoal, purple, white, green, yellow, blue and black. You can check out the black variant in the image embedded above. Just like Ryu, Ken actually has two Final Smash moves. They are Shinryuken and Shippu Jinraikyaku. They are triggered depending on the distance from the enemy, with Shippu Jinraikyaku being used when opponents are within grabbing distance. You can see the Shinryuken move in action in the video embedded above. That’s everything we know about Ken in Super Smash Bros. Ultimate. We’ll be updating this guide and other character guides as we get more info, so be sure to check back in regularly. For more on the game, head over to our Super Smash Bros Ultimate Guides hub. It’s got stages, trailers, details on amiibo, and more.